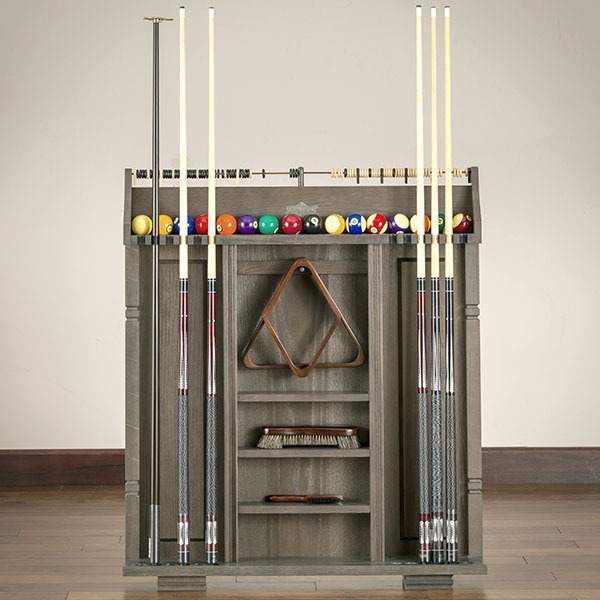 If you’re looking for a comprehensive storage piece without all of the fuss of permanent installation or complicated setup, consider the Providence Floor Rack first. 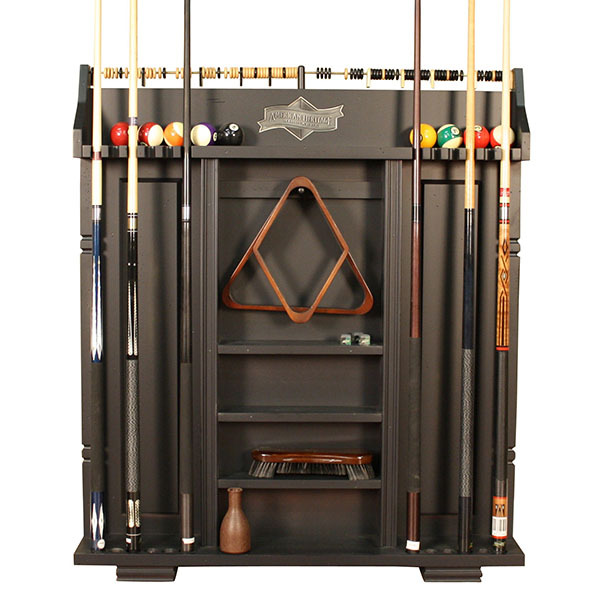 It features shelving, racks, holders and more to keep your billiards room spick and span. You’ll enjoy the use of twelve cue holders, a built-in score keeper, a shelf for loose billiard balls, ball rack holders, and three accessory shelves for chalk, brushes and more. The storage is straightforward and open faced for easy access and organization. 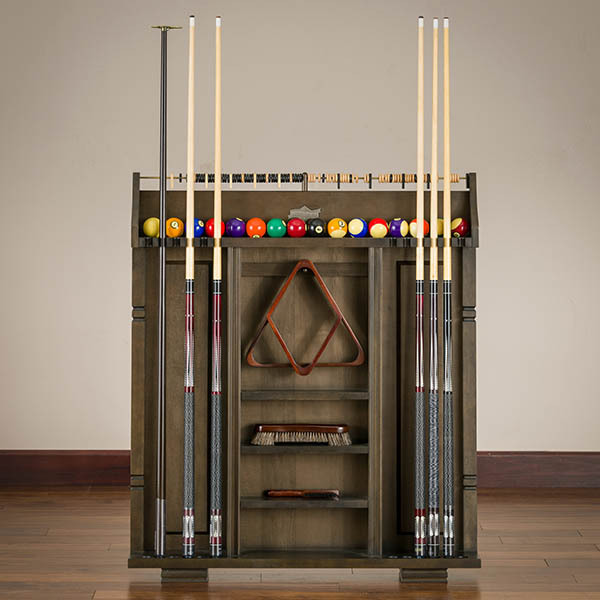 Like all American Heritage pool table accessories, the Providence is made with the best natural hardwood for class and durability. Choose between Suede, Peppercorn, Glacier, Riverbank, Sable and Pewter finishes to match the ambience of your unique game room. Finishes: Suede, Peppercorn, Glacier, Riverbank, Sable, & Pewter. Dimensions W38" x D6.5" x H43.5"
Finishes Suede, Peppercorn, Glacier, Riverbank, Sable, & Pewter.